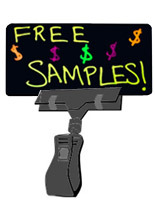 These note displays, clip-on sign holders accommodate signage up to ¼" thick. 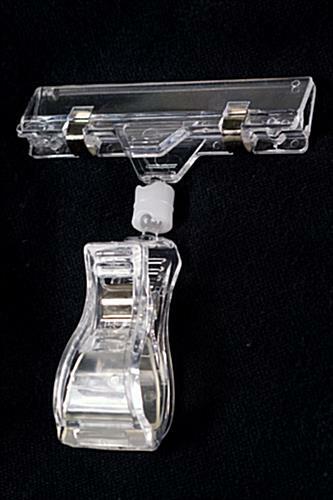 Clip-on sign holders are fabricated from clear acrylic for durability, lasting for years of use. 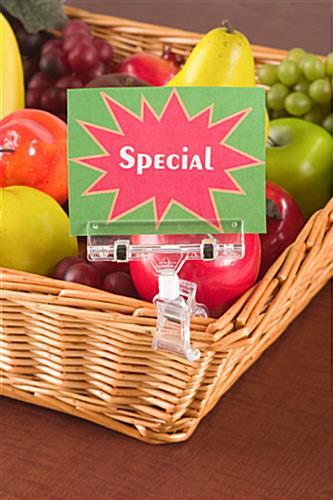 Place the clip-on sign holders on product bins to attract customer's attention. These store displays are the most economical and valuable clip-on sign holders to advertise or remind you of important events! 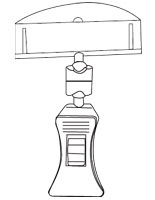 These clip-on sign holders, also known as store signs, can be used to display notes, cards, or any other sign you wish to post. 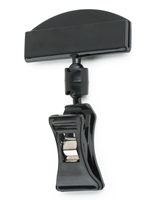 The clip-on sign holders feature metal clips and finger grips for easy sign insertion. 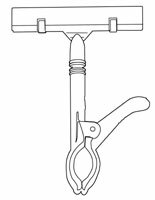 Simply place fingers on grips and squeeze, then slide in your sign. 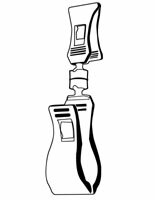 The clip-on sign holders, such as memo displays and note clips, have anti-slip coating on the clip enabling the clip to stay in place firmly. 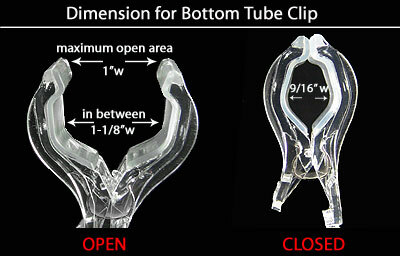 The clip-on sign holders also have a universal knuckle that allows it to turn 360 degrees. 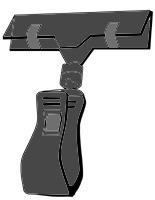 The clip-on sign holders are easy to use and effective for getting your products or memos noticed. Just clip on a sign and clip to a common area and your ready to go! 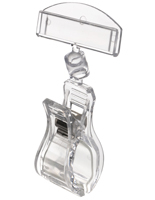 Please Note: When ordering, 1 unit = 100 memo clips. Hi Jenny, We're so sorry to hear you're unhappy with the quality of your purchase! We'd like to rectify this for you so one of our customer care specialists will be reaching out. Thank you for your patience! These clip on sign holders are great. We will continue to buy these.